After enduring seven months in Schachandorf, which included the frigid winter months, May arrived together with the resonant sounds of thundering cannon fire being exchanged between the German and the Russian Allied soldiers. 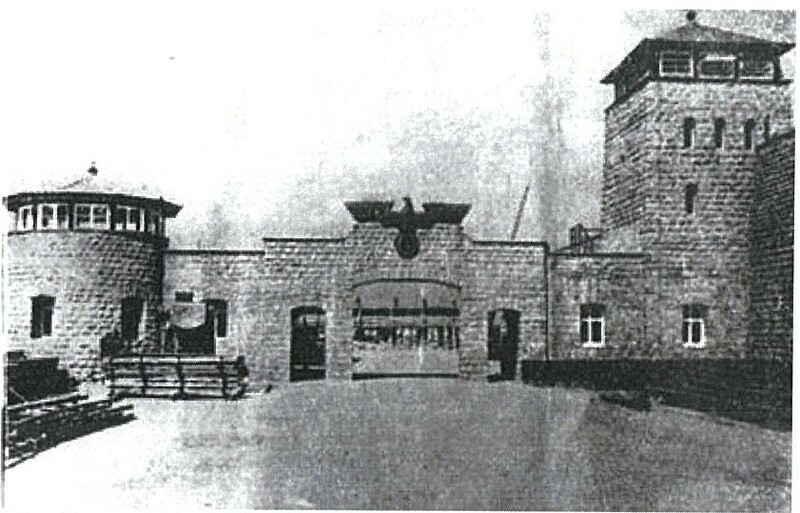 With the prospect of liberation by the Russians imminent, the SS guards gathered the 2000 boys who remained of the original 5000 and told them to get ready to march to Mauthausen, a concentration camp with a crematorium located some 300 km away. They were warned that anyone who tried to leave would be shot on the spot. Knowing that a march to Mauthausen meant certain death, four boys, my father among them, decided to hide. They dug an underground bunker and covered it with wood. They stayed in the cold confines of the earth, with just a bit of food and a little water, for three days and three nights. “Had we stayed one more day, I don’t know if we would have survived,” said my father. It is ironic and tragic that thousands of survivors died after the war, either from eating too much food, which their emaciated and fragile bodies couldn’t handle, or from typhus, a disease marked by the sudden onset of fever and chills and a spreading rash over the body that, left untreated, could result in death. My father got as far as Oradea when he collapsed with a burning fever, having contracted the potentially fatal disease. 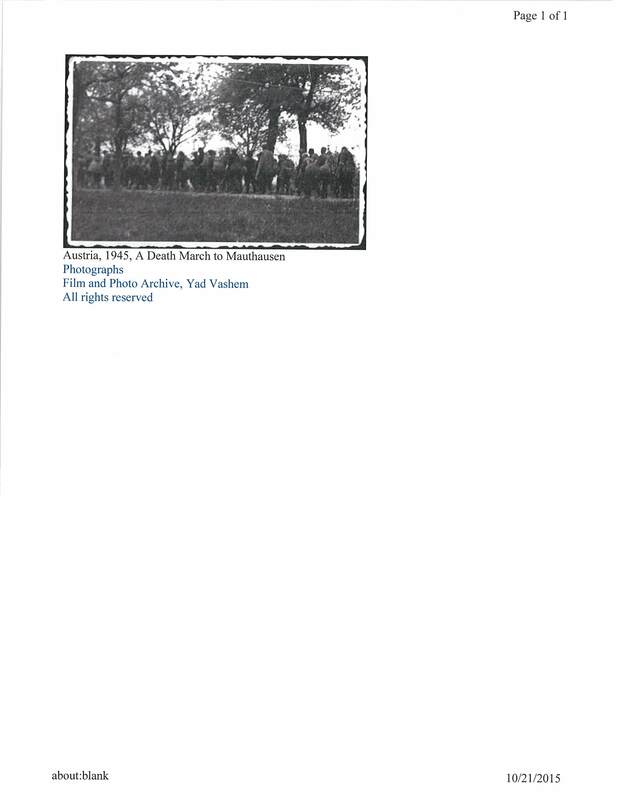 His father, Avraham, who survived a different camp than my father, arrived in Oradea in search of living relatives. 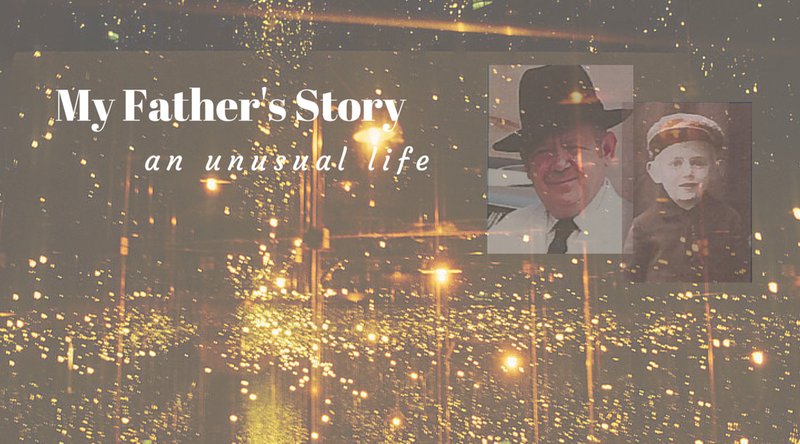 My grandfather heard that his son was there, but that he was gravely ill. Since typhus was contagious, my grandfather was not allowed into the room where his son lay unconscious, burning with a high fever. Gazing at him through a window, the doctors told him that his son would not survive. “There was only one thing that might save him,” said the doctors. “A drug called penicillin, which is available only to the US Army. Where my grandfather got the money to buy penicillin is a mystery. But one can only imagine the determination he had to do whatever he could to ensure his son’s survival. He approached some American soldiers who had access to the medication and purchased three tablets. After one dose, the fever broke, and after six weeks, my grandfather was allowed to enter the hospital room. Once released from the hospital, my grandfather and father made their way home to Nagyszalonta. While many celebrated liberation in Europe, Jewish survivors generally were struck with the sheer magnitude of their loss–it was a bittersweet time at best. 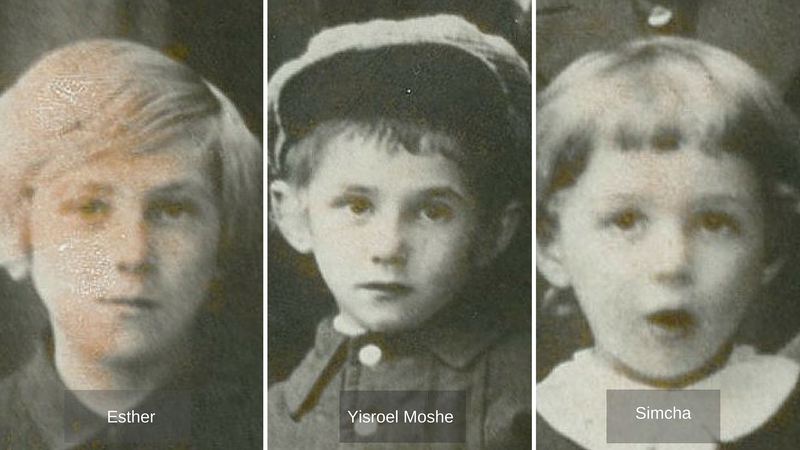 Over the next few weeks, they discovered that the other children–Esther, Yisroel Moshe, Simcha, and Chana Miriam (not pictured)– were murdered in Auschwitz.